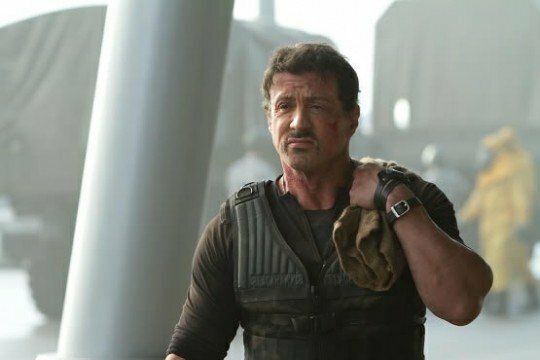 Is Sylvester Stallone’s Barney Ross really expendable? We’re about to find out, because the actor has just shocked fans and studio heads alike by dramatically pulling out of The Expendables 4 (planned to be the last in the series) and any subsequent films in the multimillion dollar franchise. This is despite the huge commercial success of the three past Expendables movies, which helped Stallone reclaim his hard-won action credentials first established in the 1980s. It’s also despite him being offered a rumored $20M payday (the largest in his lengthy career) to reprise the role of Barney Ross for a fourth time. So, why the shocking departure? Sources say it stems from disagreements with Nu Image/Millennium Chief Avi Lerner. Lerner and Stallone have butted heads in the past, but have apparently been able to find common ground. Not this time though, with lengthy arguments over elements of the planned Expendables 4 – these range from your usual disagreements over director and script to more esoteric things like which CGI company will take care of the effects. Given that none of the Expendables films have been particularly great (the Terry Crews shotgun scene in the first movie aside), it’s a little surreal to see Stallone taking such a dramatic stand for quality and turning down the dough. In my opinion, these movies have always been one step above straight to video affairs and it’s a bit strange to think there’s already been such arguments over this rubbish. But Stallone obviously cares enough about what his name’s attached to that some things are a step too far. Also, with Creed, he reminded us that he’s actually a fantastic actor and perhaps he’s beginning to think that appearing in something obviously trashy is hurting his image. Still, action fans will be mourning his loss. Stallone was the driving force behind The Expendables, gathering together an unequalled cast of action icons and giving some old favourites a much-deserved moment in the spotlight. Can The Expendables carry on in his absence? I’m willing to bet they’ll try, but I’m also willing to bet the results won’t be great.